The belly of central Hokkaido, also known as the “powder belt”, is thus named because of the exceptionally light powder snow which falls in the region. Asahikawa, the second largest city in Hokkaido, is a mere stone’s throw away from Asahikawa Airport – the gateway to this region. 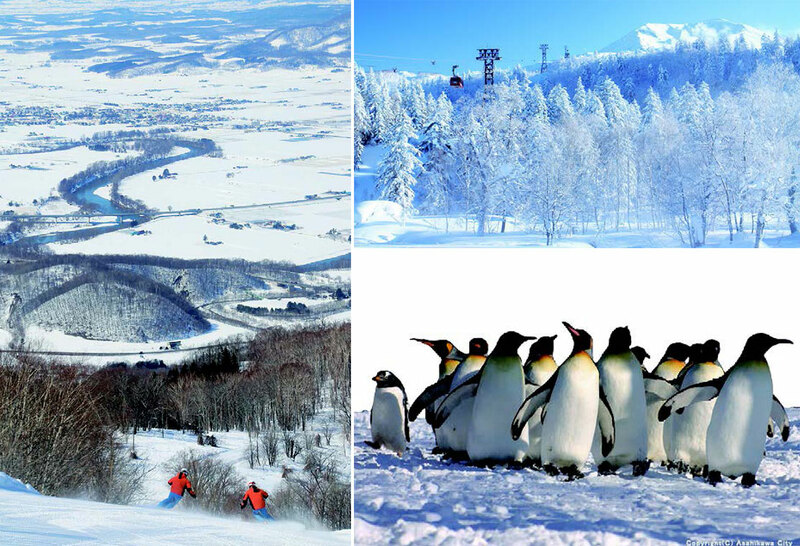 Central Hokkaido is home to a number of large-scale ski resorts including Furano and Tomamu, however, the aim of this article is introduce the joys of staying in the major city of Asahikawa whilst hopping around the local ski slopes. Major resorts such as Niseko, Rusutsu, Furano and Tomamu tend to spring to mind when the topic of Hokkaido is brought up. Their high exposure has unfortunate, but inevitable consequences – crowded ski slopes. Just imagine the sheer chaos that ensues for a taste of powder snow the morning following a good night of snowfall. Ski areas that haven’t quite caught the attention of international visitors require far less elbowing and shoving to catch a good run. In fact, sometimes lucky visitors can have a ski slope all to themselves. Setting up base in Asahikawa to discover the surrounds of Central Hokkaido allows for an exciting snow experience that cannot be found anywhere else in the world, let alone the rest of Hokkaido. This is because of its location in northern Japan, right in the heart of Hokkaido, away from coastlines. All of these conditions combine to create the perfect environment for dry powder snow to fall. Let’s start with the city of Asahikawa itself. Asahikawa is proud to call itself a “food-lover’s town” for the plethora of gourmet offerings to be had. The entertainment district of Sanrokumachi is an epicurean’s dream with over 1,000 different bars and restaurants lining the streets. Izakayas (Japanese pubs), ramen, BBQ lamb and sushi restaurants are just a few of the countless local Hokkaido fare to be feasted upon for, above all, a price that won’t break the bank. Ski resorts which see international visitors flock to their slopes tend to bump up their prices, as many tourist destinations do. Asahikawa is different in that restaurants are priced reasonably due to the number of locals who live and work there. The worldwide ramen boom in recent times will no doubt bring attention to Asahikawa due to its status as a city of delicious ramen. The global ramen chain restaurant – Hokkaido Ramen Santouka – had its humble beginnings in Asahikawa. Visitors with a particular interest in ramen should head over to the Ramen Village, 20 minutes away from the city centre, to see and try all the different types of delicious ramen to be had. The popularity of this area has increased so much that 3 hotels have opened up their doors in the last 3 years, with another scheduled to start trading later this year. 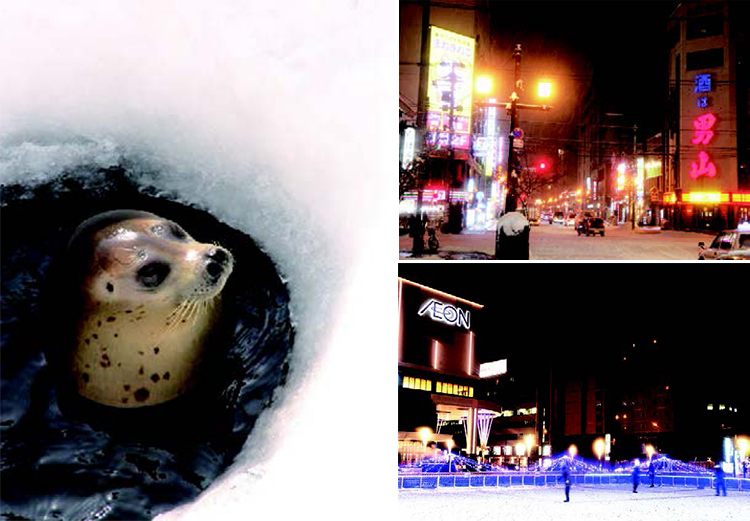 Another place of interest is Asahiyama Zoo, which is located approximately 30 minutes from the city boundaries by bus. The zoo has been the backdrop and subject of various Japanese movies and TV shows due to its sheer popularity. Fans of the zoo find themselves visiting again and again to see the animals comfortable to actively roam around in the unique environments created to suit each different species. The arrival of winter signals the start of the Penguin Walks at Asahiyama Zoo, which take place every year from December through to March. This is one of very few places to witness penguins happily strolling through the snow. 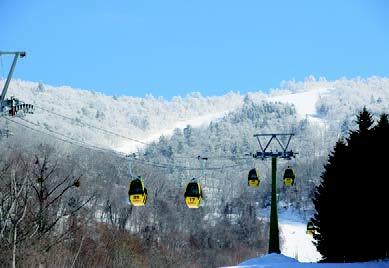 Kamui Ski Links is the most prominent of all ski resorts in the local vicinity of Asahikawa. While it certainly feels like a local ski resort, it is a fairly large-scale establishment with 7 ski lifts in operation. The ski slopes at Kamui are spacious and wide-spreading. There are few ski resorts nowadays which offer runs wide enough for skiers and snowboarders to carve up huge arcs in the freshly groomed snow. 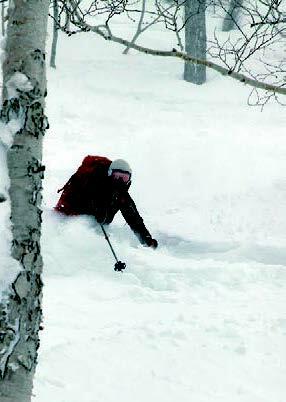 The resort also actively opens up its sidecountry trails for thrill-seekers to shred through the wild tree runs. While the publicly open 5 sidecountry trails are hours of fun in themselves, the Bumps (Moguls) Course and Treerun Course are where the extreme fun is to be had. These courses can be accessed through the main area and are not recommended for inexperienced skiers or snowboarders. If word gets out about the sidecountry offerings at Kamui, then it may fall victim to swarming crowds in the future, like other major resorts. Visitors to Kamui should also check out NOBu, a ramen restaurant at the base of the mountain. The recipe for Asahikawa ramen has been passed down through many a generation at NOBu and it is well-known for its superb flavours. 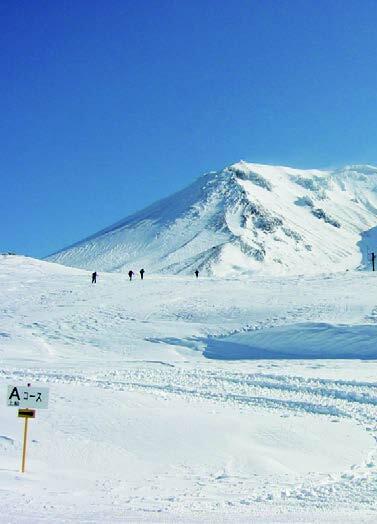 Asahidake is a small scale ski slope with only 2 ropeways in operation. This little ski slope makes up for its size through its sidecountry and off-piste trails. Unlike Kamui Ski Links, which has a cult international skier and snowboarder following, Asahidake still remains comparatively untouched by international visitors. To get the most out of the backcountry trails may, however, require the assistance of an experienced guide. The ropeway has a maximum capacity of 101 people. Upon reaching the peak of the mountain, a sea of white snow beyond the trees fills the area as far as the eye can see. The sight of almost smoke-like snow filling the air is quite a rare sight to behold. While many skiers will hike up to the peak to shred the backcountry trails, there are plenty of sidecountry trails full of powder snow around that do not require any hiking at all. Along with Asahidake, is Kurodake, which is also known for its backcountry trails. Much like Asahidake, a ropeway trip is required to get to the top, however, there is also a lift in operation from the end of the ropeway to make skiing all the runs an easier affair. Backcountry fanatics will need to head further towards the peak to satisfy their urges. The course down from the ropeway is restricted to advanced skiers and snowboarders only as it is an intense run. Both Asahidake and Kurodake are prime locations for backcountry fans and an added advantage of these locations is that they are both renowned for their hot springs. A good, long soak in the thermal waters to warm up a chilled body after a day of carving up ski runs is sure to hit the spot. The convenience of being able to enjoy backcountry skiing and hot springs whilst staying in the major city of Asahikawa is winter travelling in style at its best. 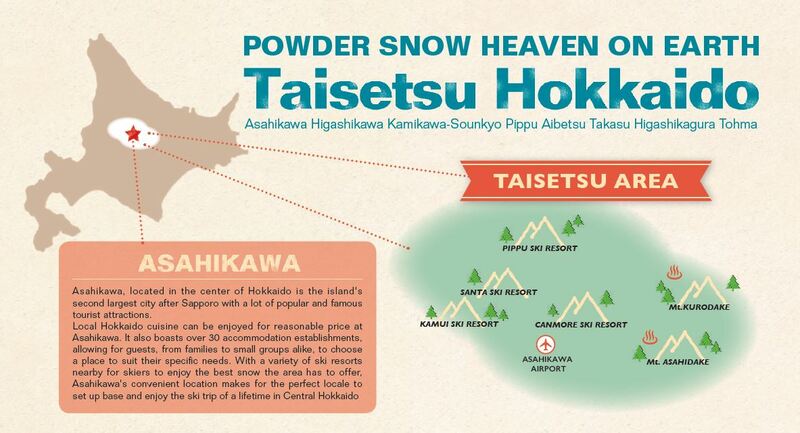 An excellent ski resort located a short 30 minute drive from the heart of Asahikawa. Kamui Ski Resort has 30 courses on offer including 5 glade-runs; 30 degree steep, 150 metre wide packed-snow runs; and wide, gentle slopes for beginners and families. The courses span across 100 hectares of mountain to keep skiers and snowboarders of all levels happy. The sight of frost-kissed trees lining the mountain peak on a clear, early morning is also a treat that cannot be missed! 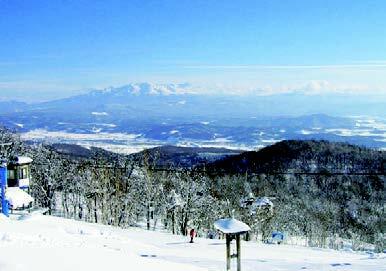 Located 50 minutes away from the heart of Asahikawa is this ski resort with a magnificent view of the Daisetsuzan Volcanic Group. A jam-packed day of fun is guaranteed with 9 courses at a maximum length of 2,200 metres to shred. The large spa area in Pippu Ski Resort makes it the perfect place to wind down after full day of skiing.